Covenant University in Partnership with the Jim Ovia Foundation Leaders is Offering Scholarship Opportunities to 7 Nigerian 3 African Students who wish to Study in the Institution for 2018/2019 Academic Session via the Jim Ovia Foundation Leaders Scholarship (“JOFLSF”). Applications are invited from suitable and qualified candidates who wish to study at the Covenant University to apply for the Jim Ovia Foundation Leaders Scholarship (“JOFLSF”) for 2018/2019 session. Complete this application with your parents or legal guardians and submit it after you have completed your Covenant University admissions application form. Be sure to include supporting documentation for your scholarship application (e.g. loan documents, bank statements, and pay slips) for at least the last three (3) months. A typed letter detailing the reasons why you need the Covenant/JOFLSF scholarship. All the information provided must be accurate and true. 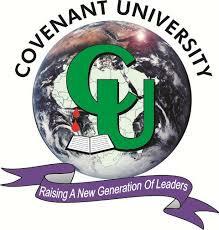 Any falsi­fication of information on this application may result in the withdrawal of your admission to Covenant University. Applicants are considered based on documented fi­nancial need and on a thorough assessment by the Covenant Scholarship Committee of all information gathered during the admissions process for each candidate. The Covenant/JOFLSF Scholarship is limited and only for 10 students (7 Nigerians and 3 from other African Countries) who cannot afford to pay as much as 10-40% of their school fees at Covenant. Sign and submit this form before the scholarship application deadline (July 15, 2018). Submissions after this date may not be considered. Who is considered a parent? “Parent” refers to a biological or adoptive parent or a person determined by the state to be a parent (for example, if the parent is listed on the birth certificate). Grandparents, foster parents, legal guardians, older siblings, and uncles or aunts are not considered parents on this form unless they have legally adopted you. If your legal parents are living and married to each other, answer the questions about both of them. If your legal parents are not married and live together, answer the questions about both of them. In case of divorce or separation, give information about the parent you lived with most in the last 12 months. If you did not live with one parent more than the other, give information about the parent who provided you the most financial support during the last 12 months or during the most recent year you received support. If your divorced or widowed parent has remarried, also provide information about your stepparent. Stage2: Complete this Application –Answer all applicable questions. You do not need to complete the application in one sitting; save your application and return to complete it at any time. Stage3: Submit this Application – The date and time you submit your completed application will be recorded based on West African Time and your reports and supporting documents will be sent to the Covenant Scholarship Committee.